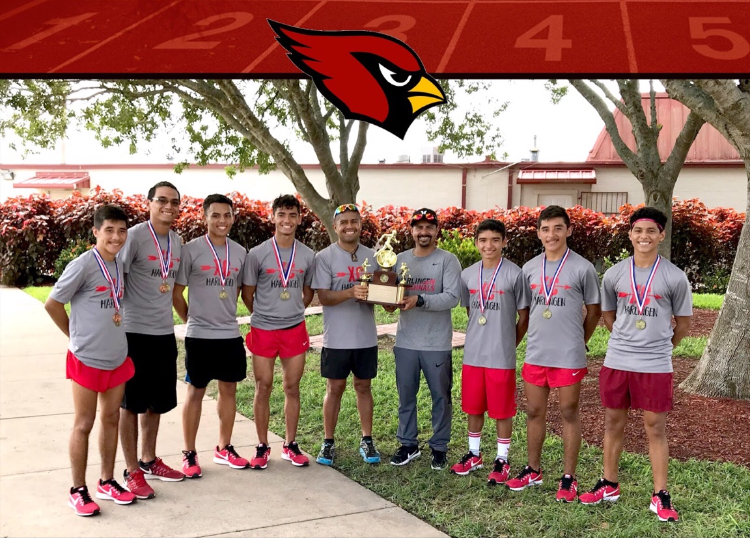 The Harlingen High School Boys Cross Country team was named district champs at the District 32-6A Cross Country Meet held on Friday, October 13 in Los Fresnos. The team, along with Michelle Medina from the HHS Girls Cross Country team, will advance to compete at the at the Regional level. Harlingen High School placed 1st in the boys’ division with 41 points. The top three teams and top ten individuals from both the boys and girls varsity squads will qualify for the Regional Cross Country Meet to be held the October 23 in Corpus Christi. Listed below are the final standings for HHS competitors advancing to regionals.